I started quilting last winter and while I only managed one full sized quilt this season I have done a bunch of other smaller sillier projects. For instance-I was messing around with overlapping progressions of fabric and decided that they looked like fish scales, so I made a koi. It is actually a little longer than 2 feet, but you can’t really tell from the photo. 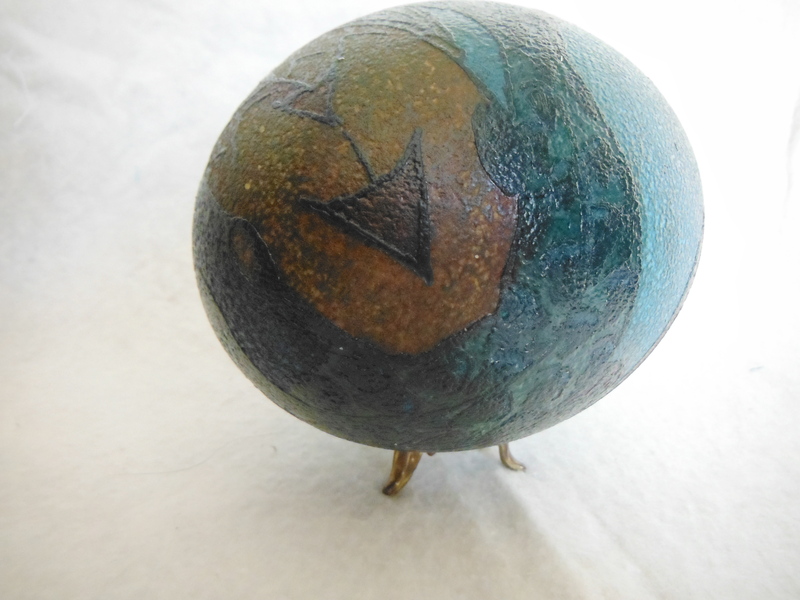 Before I ventured into the uncharted waters of the quilted koi pond I had been working on some etched and dyed emu eggs. 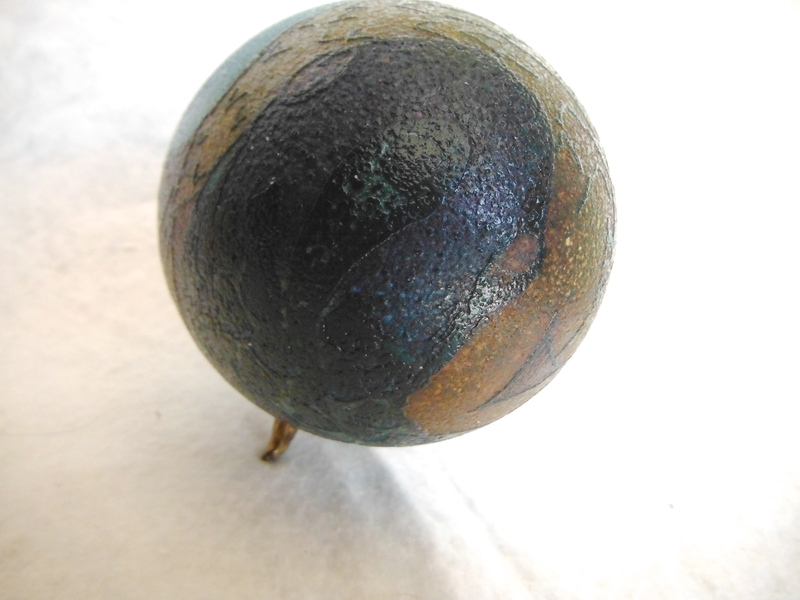 They are a bit smaller than an ostrich egg but far prettier in terms of color. 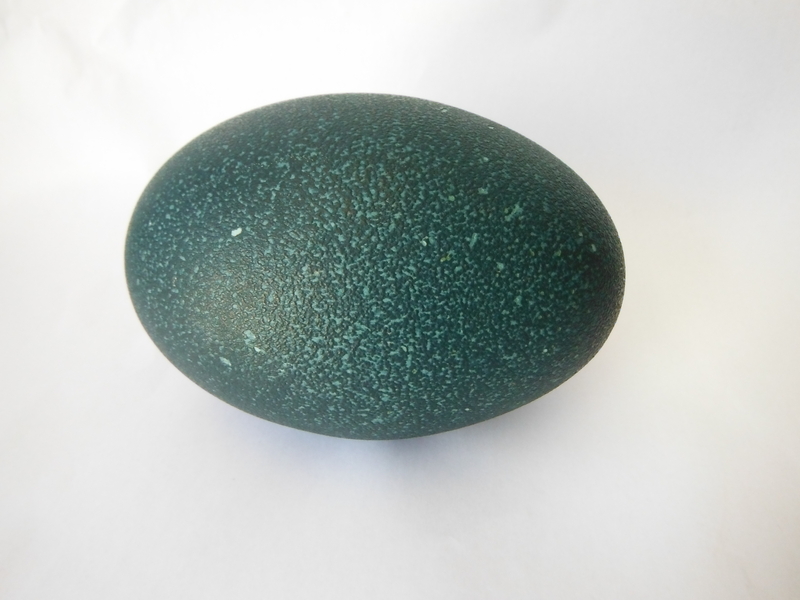 They come in this amazing deep emerald green speckled shell. 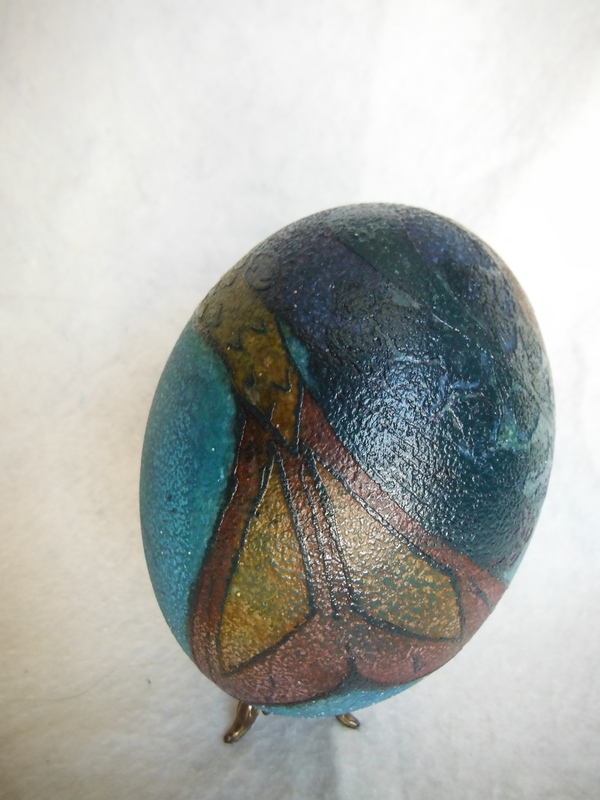 The first one I did started with drawing geometric net over top with the wax. 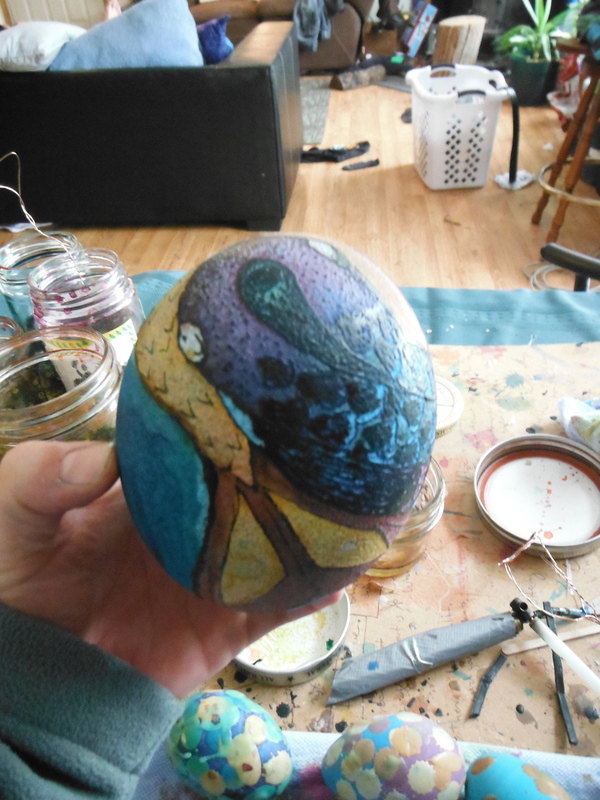 I decided I wanted to keep more of that beautiful shell so I made a meadow scene. 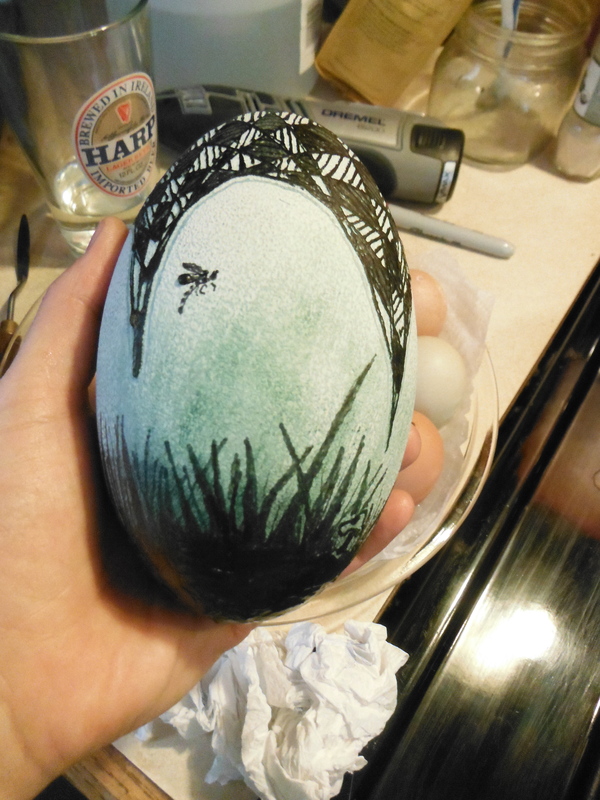 Complete with bugs, flowers and toadstools hidden in the grass. 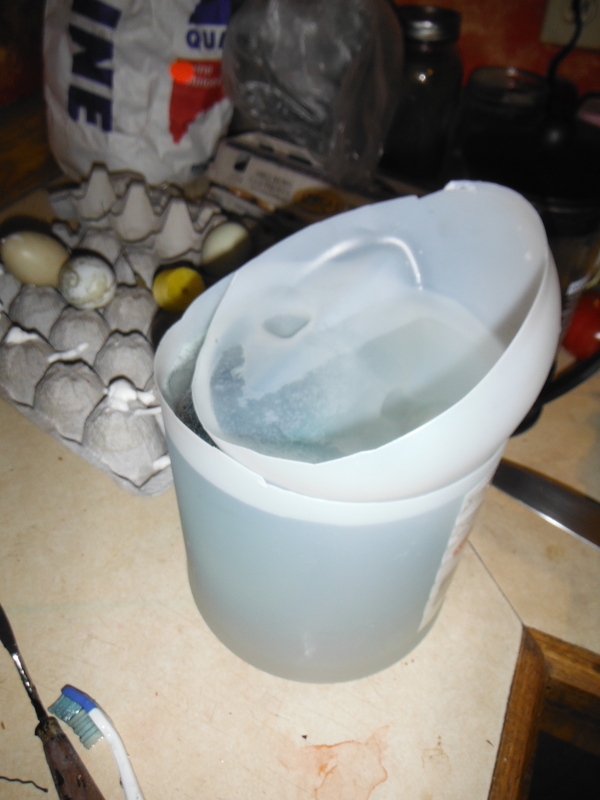 The etching got a little tricky so I ended up just cutting the top off my gallon of vinegar and flipping the lid upside down. Tada! Huge vat o’ vinegar. 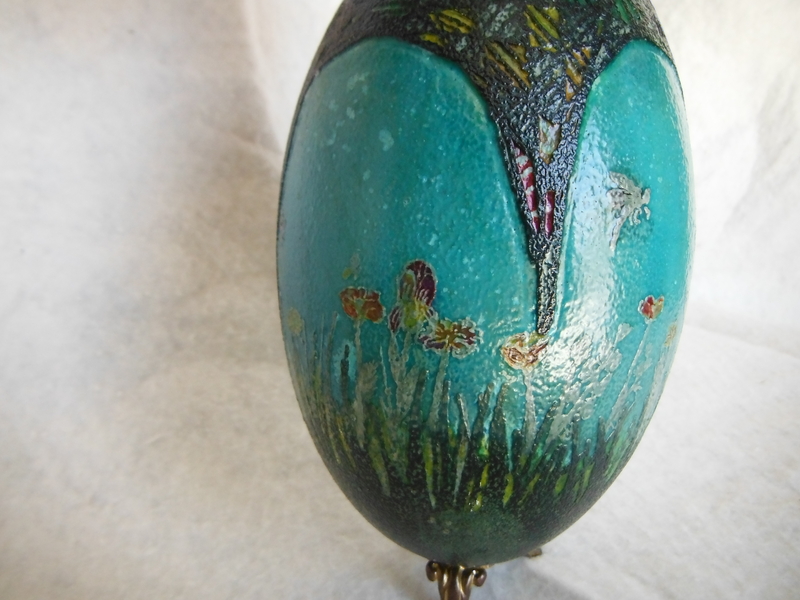 After the darker top layer of enamel had been dealt with I used the same dyes as the other eggs but painted on the colored details of the flowers, no way was I going to try and figure a way of dunking the whole thing in each color! I think for my first one it came out pretty nice. For my second attempt I decided to do a 360 design of the painting above our mantel that I did a few years ago. This one was far trickier and the pictures hardly do it justice since it is a 3D concept flattened out by the photo. 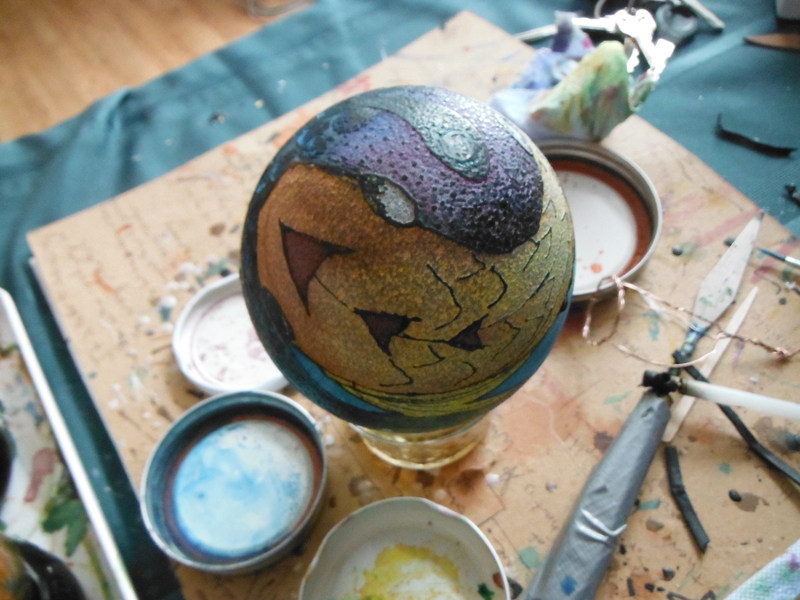 Unfortunately the colors darkened a bit when I melted the wax off, since it’s is black. 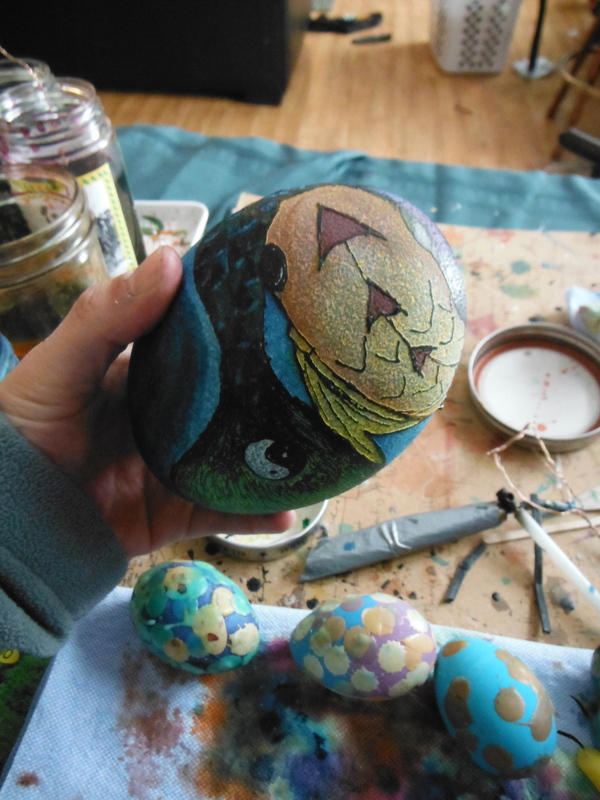 The varnish too made it darker then it started out but in person it is really cool if I do say so myself! All-in-all I am really pleased with how they turned out but I am at a loss for what I should do with the third one I have. 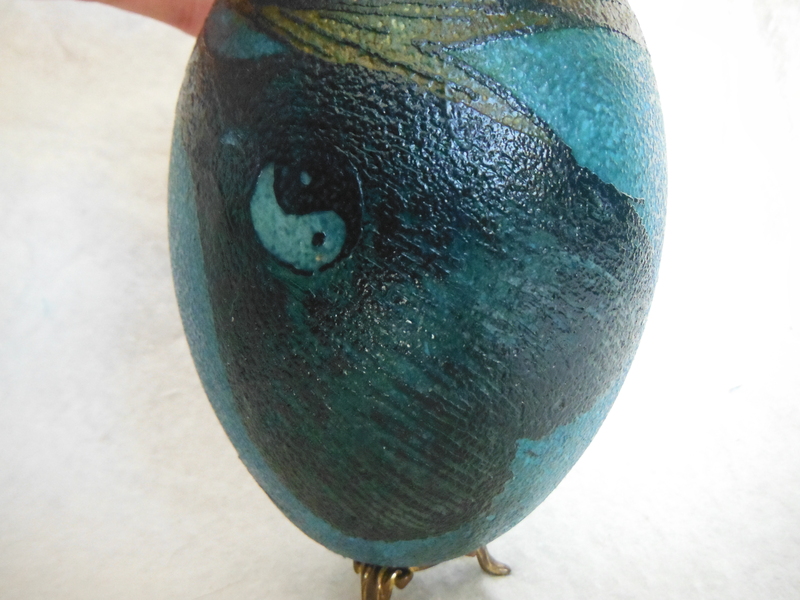 Both the other eggs are available to buy at my Etsy store-check it out…please.